Welcome to the October 23rd edition of the Pogo Insider. As always, I’m really happy you’re here and can’t wait for you to read all that is included in this blog. We have a new voter poll and I’d love for you it! Cross Country Adventure, a new Hidden Object Game by the developers of Vanishing Trail and Grub Crawl, is slated to come out in November. Here’s the thing, I want to know which destination YOU are most excited to see so please take our player poll by clicking here to vote on which destination you’re most excited to see in Cross Country Adventure! Get a sneak peek of the destinations, too! Did you know Tri-Peaks Solitaire HD AND Lottso! Express HD are available for you to play right now?! I also had Pogo John and Pogo Clement sit down with me for a question and answer session about their respective games. Let’s jump right in, shall we? I hope you all enjoy this badge design and are looking forward to a new upcoming Challenge in Pogo Bowl. 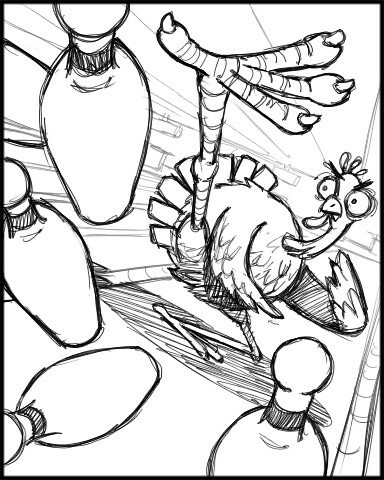 Who has a hankering for some turkey now?! Autumn Odyssey Challenge Quest – This brand-new, never-before-seen-on-Pogo Challenge will start tomorrow. Stay tuned to the blog for more information. In the meantime, you can click here to read a Q&A session between myself and the very grand Pogo Limes. Halloween – It wouldn’t be Pogo without some special treats around Halloweentime! Our Halloween festivities will begin on October 28th and will run for the remainder of the month. There will be lots of Halloween treats for all! My favorite is the updated pumpkin carving template of Nestor. Badge Scare-athon – Race through 10 Challenges to win a bonus Badge in the Halloween Spooky Sprint! This starts October 28th. November Game of the Month is….Phlinx II! Badge Collection – Another collection of MnM Badges will be available in mid- November. We had state Badges just a few months ago. What are your guesses for the next Badge collection theme? 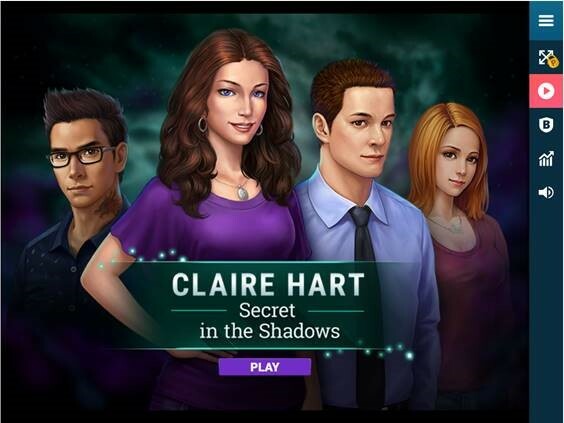 Claire Hart: Secret in the Shadows screen – We’re trying a new look with the appearance of the Claire Hart game screen, and we’re adding a “New Game” button beneath the Journal for a short time to see what players think about it. Please be sure to tell us on the forums if you prefer to have the option of starting a New Game via that button, or if you liked the game screen as it was before! Lottso Express HD – Available to play right now! Tri-Peaks Solitaire HD – Available to play right now! 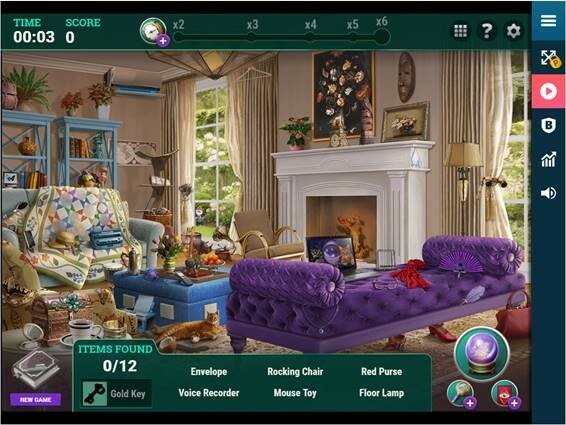 Cross Country Adventure – A new Hidden Object Game by the developers of Vanishing Trail and Grub Crawl is slated for November. Remember to take our poll by clicking here. Pogo Llama: Thank you for being a part of Blog #90 by sitting down and talking to us about Tri-Peaks Solitaire. I’d like to dig into the art direction on this game as I know a lot of really hard work and art dedication went into it. Can you talk about the art in this and how it differs from the Flash Tri-Peaks version? Also, What was the mindset when updating the graphics? I’m so glad to see Tex Carter returns! Pogo Clement: Hello again, everyone! Yeah, we put in a lot of effort on the visuals indeed. If you look at the classic version, the environment colors are pretty dull. All are just sand, stones, rocks, like you’re in a desert, which is not quite as visually interesting. In the HD version, we put Tex Carter in a mysterious cave temple buried deep inside the Amazon Jungle. This gives us more space for creativity in choosing colors and adding details. Everyone in the team is very satisfied with the result, and we’re sure you folks will like it a lot! Pogo Llama: I have Tri-Peaks HD open right now and I just saw Tex Carter take his hat off and scratch his head. I love this. Oh wait, now he’s stretching! I’m so glad to see Tex Carter returns! Pogo Clement: You know, Tex Carter will be busying dodging traps. It’s very tiring, so a good stretch is much needed. Haha! Pogo Llama: How does a player rank up in this new version? Pogo Clement: You’ll need to collect Crystals to gain ranks. When you clear a peak you’ll get Crystals. You can also find Crystals in the chests. Pogo Llama: What’s your number one most favorite feature of this new version? Pogo Clement: The thing that I like to do when playing this game is turning on the audio and watching Tex Carter interact with the traps. Even if I lose it’s also very enjoyable to hear the way he screams…haha! Pogo Clement: Yes and yes. We’re still keeping a free undo per hand, and the Wild Card is still randomly distributed in the chests. Pogo Clement: Not directly, although for the Art effort- we did research all of the various version of Tri-Peaks Solitaire we could get our hands on. We wanted to gather inspiration from the best of what the brand had to offer. Pogo Llama: Thanks for answering questions about Tri-Peaks Solitaire HD. Is there anything else you’d like to say before closing? Pogo Clement: I’m really excited about launching this game! It’s a beautiful game and I like it a lot. So far, it’s my favorite among all the HD remakes I’ve been working on. I hope you all like it too! Pogo Llama: Welcome to your first ever Pogo Insider Q&A, Pogo John! Please introduce yourself to the Pogo Community. Pogo John: Thanks for having me! My name is Pogo John and I’m one of the producers here at Pogo.com. I recently joined the team, and I’m excited to see the launch of my first project. Pogo Llama: Welcome, Pogo John, we’re mighty happy to have you here. Now, please tell us all about working on Lottso! Express HD. What was it like? As you started playing the Java version first and transitioned into the new version, what can you say about the differences? Pogo John: The first thing you’ll notice when you play Lottso! Express HD is the updated graphics. As we’ve transitioned the game into HTML5 we’ve made optimizations to the art and animation but have tried to retain as much of the original game play as possible. Pogo Llama: I am so grateful to hear that the original game play is still the same because it was the best part of Lottso! Express, of course. Let’s talk about these Scratchers! They are so cool! You recently showed me the Mega Lottso Card and I think it’s glorious and super fun to look at. Can you explain the art direction behind the game and what did the art team keep in mind when creating the new art? Pogo John: Yeah, the art for the Mega Lottso card is really cool! One of my favorite aspects of Lottso! is the love we show to other Pogo games. This HD update is no exception. The art team wanted to keep this aspect of the game and add in some shout-outs to new HTML 5 games that have been released since there have been many. Also, since we’ve made the upgrade to HTML 5 we’re able to have this cool new effect that brings the scratchers toward the screen so you can see the art close up. Pogo Llama: Some of my favorite parts about Lottso! Express HD include: 1. The music, it reminds me of my early Nintendo playing days. 2. The animation of the balls being mixed up. How does a player make that happen? Pogo John: Yes the music and sound effects are definitely reminiscent of the classic 8-bit era of gaming, and we’ve definitely brought some of those effects back in addition to some new sounds. The animation is pretty cool too. It gives you the feeling you’re in a casino or waiting for lottery numbers to be announced. One feature that we’ve added as icing on the cake is that you can now make the tumbler spin with your mouse. Just click and drag on the Keno tumbler and you can control the direction of the animation. Pogo Llama: What is your very favorite part about Lottso! Express HD? Pogo John: My favorite part has to be when you hit a Mega Lottso! chain. It’s really exciting when you reach the top of the scratcher pyramid and you have no idea whether or not you’ll choose the right scratcher to re-start the card. Pogo Llama: Have you made any changes to the scoring in this game, or what’s given away as you play? Pogo John: We have. As you know, tokens will not be given away in Lottso , but we have two new things we’ve added to make things a little different. The most significant thing is that we’ve added a special feature for Club players: they’ll be given 6 extra balls to start with, so they can keep playing a little longer! That’s a big help, as you rank up by placing balls so you’ll want to take advantage. The scoring’s also a bit different, as we’ve added a score multiplier. We wanted to make it more fun to play through all rounds of Lottso, so the longer you play, the more of a score multiplier you can get. Pogo Llama: How many balls will non-Club players be starting off with?? Pogo John: Most players will start the game with 30 balls. 6 in the rack, and 24 in the line -up. The extra six balls is just a way of showing a little extra love to Club Pogo players! Pogo Llama: Well that is very good to know! Thank you for sitting down with me today and answering questions about Lottso! Express HD. Do you have anything else you’d like to say before you head out of the studio? Pogo John: Thank you for having me. It’s been great getting to chat about Lottso! I’m looking forward to working on more games here at Pogo and getting to know our fans in the community. Q. Has it already been decided which games are being converted? In other words, is the list basically “set in stone”? Or is it an ongoing thing and not everything has been decided yet? Again, I just mean in general, I’m not asking for a final list or anything. I’m just curious about the process! A. There are some games that have already been decided upon and then there are games that have not so the answer is it is an ongoing process, and one that takes a great deal of thought and strategy. The process of selecting converted games includes a mix of things such as historical data, gaming trends, and player popularity. The team must also be sure the game can technical convert over. For example, some players have been wondering if we’ll be converting table games such as Canasta and Bridge to HD. The answer to this is: The reason games with lobbies are not currently converted is due to needing the technology to make it so. These are known as multiplayer games and we’re working on the technology for that. Once this work is complete, we can start on converting those games over. Thank you for your question and I hope this has provided some insight into our process of game selection. Thank you for reading the Pogo Insider. I hope you enjoyed the content. Please let me know if you have any content-requests for upcoming Pogo Insiders. If you have a (non-technical) comment or question, please leave it below. I’m really so glad to hear you’re enjoying Tri-Peaks and Lottso! Express. Thanks for the feedback and I will pass along the feedback about the scratchers. I’ve actually heard that from other players as well. Have yourself a very great week, too. I have Essential Tremor, the shaking of my hands make it very hard to play many of the games. I would like to be able to do more of the weekly badges, but because of my condition, I cant play many of them. I hope the team leaders will remember there are member like myself who find it hard to control their mouse to play the games when planning the weekly events. I’m so sorry to hear you have Essential Tremor. Yes, absolutely, the Pogo team is aware of the different physical challenges our players are facing and I am also advocating to make sure our games are as accessible as possible. Thank you for writing in and sharing your story with me. Take good care. me too thanks for your request to Pogo. Hi I enjoy playing the pogo games..I was wondering why some of the games I play such as qwerty and others do not have a full screen..they are small and the chat section is separated from the screen I am playing in (the initial game).thanks..(PS..(could it be a browser issue)? The Java games were made so long ago that that I am not sure of what the process was at the time. It is definitely not a browser issue, though. However, please know all of our HD games have full screen capability. The Pogo team and I recognize the importance of this for our players and we are making sure it happens. I wish for Poppit Bingo, that we have more choices for callers…The current ones calling the numbers call about 75% of the N numbers. How are we ever to reach the 5000 goals of all the other numbers. Also, I hope there ARE plans to also make Pinochle and spades into HD, simply because you never add more ranks to those games, but have 130 ranks for Canasta…there is no way to reset our stats if we would like to have a “challenge” to do. Please, can you add more ranks to those two games? Thank you for your time reading this. Have a wonderful Spooktacular Halloween! Thanks for the game suggestions! I will most definitely have a spooktacular Halloween, and I hope the same for you. I Love The Theatrics ..color,scheme,I Love everything about them. On the Negative side of all the HD games updated Word Whomp is the worst in My Opinion. Thank you for the “poem” haha! I remember saying that rhyme as a kid. Thank you so much! Have a fun fun weekend here in Pogo with the new games! I just LOVE the new Tri-Peaks!!! I spent so much time playing it this morning, that I ended up being late for work. Oops! I couldn’t help it; I was just having too much fun to stop. Once again, the team has hit a home run! I haven’t tried the “New Game” button in CH2 yet, but I can tell you I LOVE the idea!! I have been wishing for a “New Game” button in both Jewel Academy & Cookie Connect. It would save so many steps for those of us who go back to get 3 stars on every level after we’ve completed the most recent release. 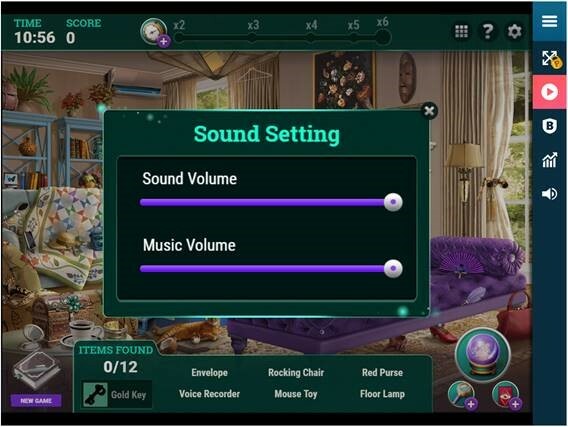 As it is now, you must click through FIVE screens in Cookie Connect & FOUR screens in Jewel Academy to get a New Game & when you are going for 3 stars, you do that A LOT!! LOL It would be awesome if this could be added to those games as well! Thank you for playing on Pogo and for playing so many games. Cookie, Jewel, CH2, Quinn’s…..All such fun and awesome games and I’m glad you’re playing them. Have a wonderful, and fun, weekend. Just want to say I love the new HD Tri-Peaks! Hats off to the entire Pogo team that put this together. And I don’t mind the sound the cards make when you turn them over. Also is Pogo Bowl in the mix to be converted? I always look forward to the Turkey pins around Thanksgiving and elf pins for Christmas. I’m so glad you’re enjoying Tri-Peaks HD! And thank you for playing it. I really enjoy Pogo Bowl and will keep you updated when I hear more. 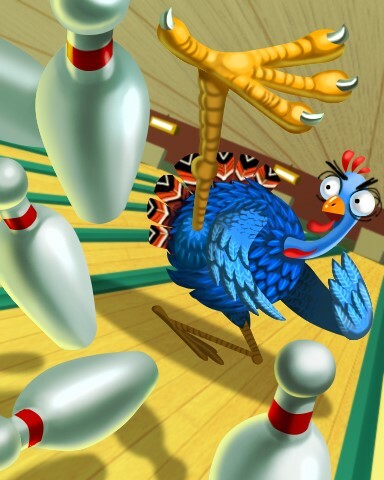 The Turkey pins will return to the game on November 1st so I’m really excited for that. I hope you are too. I cant wait to knock down some Turkeys on Nov 1! Just letting you know that I have had Tri-Peaks Solitaire HD hang twice on me. This is the first time that I have had any of the new HD games hang on my beefy laptop — 16 GB RAM, 4 GB Graphics Adapter, Quad Core Processor, etc. Both times I won the game, and the man failed to advance (he just kept stretching) and the game did not tally the results. I closed my browser, reopened my browser, launched Pogo and resumed playing Tri-Peaks Solitaire HD until I reached Rank 1. Latter today, I resumed playing Tri-Peaks Solitaire HD and was about 500 crystals from making Rank 2 when it hung again. I, again, closed my browser, reopened my browser, launched Pogo and resumed playing Tri-Peaks Solitaire HD until I reached Rank 2. I am using Edge, and I was in full screen mode both times. Please understand the 3x multiplier only applies to the score, not the crystals. Clearing a car peak grants 25 points, not crystals. As far as the game not working correctly for you, I’ll forward that on to the tech team. Thanks for including your computer specs, that’s very helpful, and thanks for playing! Thanks for playing the new HD games here in Pogo. Thanks. That gives me so many more challenges:new and old! WOW! All I can say is WOW . Your new HD games are fantastic. I’ve even started playing some I was really getting bored with. Thanks again and keep up the good work. Well thank you very much, weistl! Have a funtastic week here in Pogo! Hey Thank You for all you do!! I was just thinking, why not have the pogo bowling pins look like ghosts for Halloween? Just a thought. God Bless you all!!! Thanks for the suggestion, greenly09! For players like myself, who are distracted by the sounds in the games, I have a suggestion. I just have the audio on my computer turned to zero. That way I am not distracted by any sounds from any source, and can enjoy using my computer for games or whatever. Thank you for the volume tip, bingomamaw44! Please tell me where I can get updates on the badges earned with the 30/60 game marathon that was completed on October 19. Thanks. Now I’m going to try the new versions of Tri-Peaks and Lottso Express! They sound like fun. Hi Pogo Llama, Thanks for having Pogo Clement answer my question about the free undo and wild card in Tri-Peaks HD. I know we can make HD games full screen. Is it somehow possible to make them half screen so that we can use chat while playing? No problem, we were happy to include your question in the Q&A. Currently, there are two screen sizes possible and that is “regular” (the way you find it in the game) and full screen. The team is working on the chat feature and they have heard the feedback about not wanting the chat at the bottom of the screens. Love the newest updated games.. just a little feedback on both. Tri-Peaks: I miss having a silly item in the last chest and hope you find a way to incorporate that back into the game. Lottso Express: The refill and undo buttons are on the wrong sides. They should be switched. Thank you so much for your feedback on Tri Peaks and Lottso Express! I see someone asked my first question about Spooky Slots. I thought it would have been converted by now with Halloween almost here. I have not been able to play and I miss it. I did have another question. I have to wait till after 5:00 am on Wednesdays to see the challenges. Why aren’t they available after midnight? The Wednesday Challenges start at 4AM Pacific Time. Yes, the completion badges for the Magic Marathon were all sent out on October 22nd. If you believe you finished all 60 badges in the specified time frame, please contact Customer Support and they’ll help you out. Start by clicking here to reach them. Thanks so much for playing and have a great weekend. A question of Rank. Having played through several Ranks in different games, I am puzzled as to the purpose. There seem to be no changes other than increasing the Rank number. Also are the ‘crystals’ in Tri-Peaks Solitare to be used in the game? Ranks are a way of achieving goals and also rank badges. It creates a mini game within the game as you strive to achieve them. Hey there! I love the new HD games and the new sign-in experience was flawless! Great job :) My only concern with the HD conversions is the weekly badges that may have not been completed. I’m on top of them now, and read your blog religiously so I can make sure to get those done, but I have missed a few up to now. Are the Wednesday badges going to be auto-awarded at a later date? If not, I will have a few yearly badge books that will never be completed :( Thanks! The Wednesday Challenges that are grayed out are currently not available to be played. If they do become available in the future, I will definitely let you all know here in the blog. I just updated my membership and they have me logged into my old account that I forgot about. In my newer account, I have 49 million+ tokens and nearly 3000 badges. On this old site, I only have 80 badges and 6 million+ tokens. I would like to know what I have to do to get tokens and badges combined and all the other mini items that I have purchased through the years. This is so frustrating. Please advise if you can. Thank you. Unfortunately I’m unable to troubleshoot from the blog. Please click here to contact customer support. I do encourage that as they will help you solve the issue. Rumor going around that Chat is going away in all games, is this true???? Chat is NOT going away. That rumor is not true. An Insider question was answered in a recent Pogo Insider regarding chat. To read it, please click here and then scroll down to the Insider Question section.Thank you. I activated the Master Challenge Badge for the Autumn Odyssey Challenge Quest. I then decided to activate another challenge to go along with it. On the Challenge tab of the Mahjong Escape embedded pages shows that the Master Challenge is an M&M. This is a great way to deliver a challenge like this without sending it as a gift. This way members who want it can activate and play for it while those who aren’t interested aren’t stuck with an M&M challenge thy don’t want. Kudos for those who came up with this idea! In future, will this be the way free M&Ms are delivered to members? I’ll ask the team to verify. Thanks for your patience on a response. What I miss more than the tokens is the stats for word whomp. I know there are stats but specifically I miss the total games played and the # of wins and the % for that. Also the high scores. I was always trying to work up my win % and get onto the high scores list. Is there any chance that these could be added to the stat page currently being used? Thank you for your feedback on Word Whomp. There’s always a chance and I know the team is aware of the request for high scores in Word Whomp. Thanks for venting your frustration to me, helcatfaust. You’re most welcome but is anything going to be done to fix this issue? The team has been notified and I’ll keep you all posted in the blog with any updates. Thank you. There is actually nothing to be fixed. The game is based on the number of bingos available. Once that number is reached the game is over. If everyone were allowed to continue marking that last number there would be more bingos than were available in that game. This is not like any other bingo game on Pogo, or anywhere else that I’m aware of. I’m at rank 144, and I bet it has happened to me a thousand times, but it’s a part of the game. If we could have time to mark the last ball, the bingo would be picked up when you pay for an extra chance at the end of the game. Or it could result in an extra bingo if the last ball marked left only one number and it was popped in the extra chance. We should be able to mark it. Is there any way Pogo Bingo can be called faster? The game is way to slow and I have been in rooms where only 2 or 3 numbers are called and there are no bingos left What Gives? Thank you for your suggestion on a faster caller for Poppit! Bingo. LOL! So, within about 15 min you got a request for a slower caller and then one for faster caller. I’m glad you didn’t hand of those suggestions to me! BTW, I feel that the caller speed is just about right. I also play four cards. The Pogo forums are definitely a great place to talk with other players and receive help. Hope you’re doing well. It’s been awhile since I wrote. I wanted to say I really do like the HD Version of Tri-Peaks but one thing was missing. I know we receive Chrystal pieces in the game as we progress across with each hand. It’s the Treasure Chest, we used to receive a card with funny saying’s on it besides tokens. Can’t they put the cards back in with the Chrystal pieces? I miss “You received a 1000 year old Cheese Cake” or whatever the silly thing was. Can you talk to them about adding them back and they can make some new ones also. Otherwise it’s probably my favorite HD Game so far to date. As always a lot of good information coming and I enjoyed reading this weeks Blog. Thanks for stopping by and leaving a comment. I hope you’re doing well, too. (And yes, I’m doing well, thank you). I will talk to Pogo Clement about it and see if there are any plans to reintroduce that feature into the new HD version of Tri Peaks. Y’know, I was just going to write about something similar. What feels different to me in Tri-Peaks – and Aces Up also – is the “ending”. There isn’t one in HD. They just loop around in a “never ending story” type thing. (Never liked that movie. But I digress…) I’d like to see some type of ending for each. Something more attainable than the next rank. Something…to show closure for that game, maybe? I understand. Thank you for your feedback. First things first. Absolutely WONDERFUL job from all there at Pogo with Lottso Express and Tri-Peaks Solitaire HD. Just fabulous “remakes” of those games. As I mentioned to you, the speed and smooth game play is beyond fantastic and am really enjoying Tri-Peaks quite a bit. Love Lottso Express HD as well and will be shifting my attention there as soon as I get some traction in the Autumn Odyssey Challenge Quest — cool idea BTW. Thanks for all that you and the team does to keep Pogo going. Could you do me a favor and submit a ticket to Pogo support after running your system specs and copying them and sending them in the support ticket? This way, our tech team can look into the issue thoroughly. I played a badge in tri-peaks.. Was not bad but throughout I had this banging sound that wouldn’t go away..Had to turn the sound off.. Perhaps this can be looked into as it is rather annoying.. Thank you.. Thank you for your feedback about the sound in Tri Peaks. Thank you for your game and poll taking suggestion. I appreciate it and hope you have a good week here in Pogo. “Games A-Z” I think you will be surprised at the number of games there are. I’ll bet you can find something that will interest you. I sometimes play games on other web game sites (I am a Time Management game addict) but Pogo beats all these other game sites hands down. As far as card games go, personally I can’t think of any card games that I know of that isn’t on Pogo. So I wish you good luck, and you never know, there might be something on here that might happily surprise you. My husband and I are having trouble with the new Tri-Peaks Solitaire HD. It lets you progress through the game and then freezes up. Are there still glitches in this new game? We are on 2 different computers and have different browsers. Can you click here to run the compatibility scan? Once you do that, please copy the information provided and respond back to this message by pasting that information. The technical team I will forward it too needs this information in order to help you out. Thank you so much for all that you do to try and help us all to get the information we need to further enjoy POGO! I also am loving the new Tri-Peaks and its new graphics. But as several people have discussed already, I have to agree about the sound it makes when a card it selected/used. The other issue as discussed by katswen, I also have trouble with. I did the compatibility scan and tried to include it here so hopefully you can send it to the technical team as well. Operating System No problem found! Thank you very much! I just passed them along to the team. Thanks dreama2000! So glad you’re enjoying them. Thank you for your message and for playing Pogo, Acfow! Oh! I remember what else I was going to ask you! If you buy the M&M badge for the quest instead of doing the expert (free) badge, will you still later have to do the free badge to get the end-of-the-year badge? I love the new TumbleBees!HD. Love to watch that honey drip! How do I get chat to work on Poppit Bingo? If chat is not working for you in Poppit! Bingo, please make sure Flash is enabled (as chat is a Flash). Thank you. I noticed when Poppit became HD it went missing as a Tournament Games… will that also happen to the upcoming HD versions for Mahjong Safari and First Class Solitaire and if so are there any plans to add other choices? Thanks for the comment and I’m very happy to hear you’re enjoying them on Chrome. Flash games will not continue to be in the current version of Pogo’s Tournaments. I do not have any further information on Tournaments at this time, but when I do, I’ll let you all know. Hello I’ve been playing Pogo games for years and love all the new games that are coming out and updated. My question is was wondering about Word Search Daily if that game may be going into HD mode as I love playing that game but have not been able to since I don’t have java anymore on my computer, was wondering if there were any other java games that might go into HD mode as well. I love the new Tri Peakes and Lottso Express HD versions, also the new Tumble Bees HD and some of the other HD games as well, looking forward to the new hidden objects game as I love those as well. Overall am loving the games and all the different challenges!! Keep up the good work Pogo and thanks for all the fun!! I’m so happy you’re enjoying all the newly converted games here in Pogo. It really does make me so happy to hear this. If I have any updates on Word Search Daily, and any other Java/Flash games being converted to HD, I will let you all know in the Construction Zone here in the blog. Thanks for the question and request. Have a great weekend! so as ususal you are ignoring my question! I asked if my password works to get into pogo to play the games, how come it doesn’t work to get into my account? Hello, I really like all the games, badges and challenges, however so many it is starting to feel like a job (and I already have full time job!) This is supposed to be fun but with all the challenges, it is getting stressful. Thank you for your feedback on the Challenges. Please understand you can do them all at your own pace and while you may not receive the completion badge, you still have the badges to complete when you have the time. Thank you. Hi, I have a question about the new HD games. I have noticed that for these games the Wednesday Challenges are grayed out and not available to be played. Are thay going to be available to play in the near future or not??? I missed a lot of them and would love to be able to play them to catch up. Thanks. Thanks for your question. The Wednesday Challenges that are grayed out are currently not available to be played. If they do become available in the future, I will definitely let you all know here in the blog. Happy turkey to you too. Thank you for your feedback. Have a great weekend of playing Autumn Odyssey, Lottso! Express, and Tri-Peaks HD! I’ve said it before, and I’ll say it again…these badges, ESPECIALLY the Halloween-themed badges, are GREAT! Please tell the team again what a great job they’re doing on badges. Happy Halloween to all in Pogoland! Happy Halloween and thank you, as85382.